BSA Chairman Lee McNicholl has repeatedly questioned why the total petroleum and gas royalties paid to the Queensland Government will tank to $33M in 2015-16, down from a high of $61M in 2008-09. 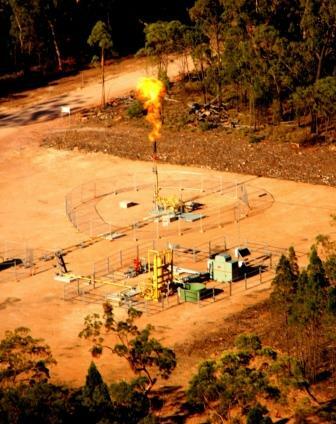 If the recent court action by major CSG proponent Origin’s APLNG challenging the Queensland Governments right to extract royalties was not galling enough, further allegations that royalty reducing “transfer pricing” was engaged in by Origin’s APLNG have been made in further court action by estranged former associate Tri-Star, as reported in the Financial Review. Mr McNicholl said if these outrageous allegations are proven to be true, the Government needs to be held accountable. “Anyone that calls themselves a Queenslander must seriously question why successive Governments are prepared to jeopardize Queensland’s “clean, green and sustainable” agricultural sector and it’s vital underground water supplies from the Great Artesian Basin for a pittance from the unsustainable CSG industry. All of us who fight for transparency and sustainability by Governments in their dealings with the CSG industry have been greatly heartened by the massive social media response to the recent release of the great protest song ‘The Truth Walks Slowly (In the Countryside)’ by O’Shea. The song beautifully and powerfully chronicles farmer George Bender’s tragic fight with a deceptive CSG and UCG industry. Is it too much to ask our short sighted politicians to listen to the song then listen to the majority of farmers who know in their hearts that the CSG industry is unsustainable under current regulations” Mr McNicholl stated.